just ten miles north of Portland. Exit 295 North at Exit 15-Yarmouth/ Cumberland. At the end of the ramp turn right onto US Route 1 North. In 1.4 miles take the Main St/115 exit. At the stop sign take a left. Priscilla B. Savage Middle School driveway is the first right. Lower School, Upper School, and Admission Office driveway is 200 yards up Main Street on the right. There are dedicated admission parking spaces on this driveway. The Admission Office is in Dole House, 128 Main Street. Look for the orange NYA flag. Exit 295 South at Exit 17-Yarmouth. In 1 mile, after crossing the Royal River, turn right onto School St./ 115. Turn left on to Main St.
Priscilla B. Savage Middle School is 700ft on the right. Lower School, Upper School, and Admission Office driveway is 1200 feet on the right. 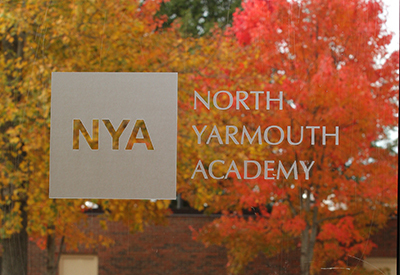 NYA campus is 2 miles from the Yarmouth town line on Main St.
Priscilla B. Savage Middle School is 100yrds on the right. Lower School, Upper School, and Admission Office driveway is 300yrds on the right. At the end of the ramp turn right onto US Route One North. In 1.1 miles the arena is on the right. Merge onto US Route One South. 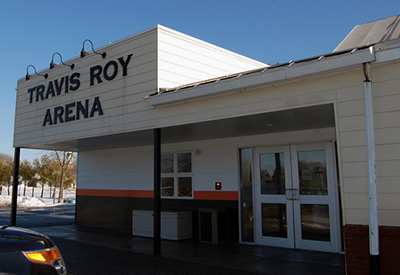 In 1.2 miles the Arena is on the left. Route 115 becomes Main St.
Go 1.8 miles through downtown Yarmouth. Turn left onto School Street at the stop light. Stay right to merge onto US Route One. In ¼ mile the arena is on the left.